I was asked to speak at the NZLA conference this past week and I wondered what direction I'd take. I decided upon 'Blown off Course; diverting adventures in Children's Literature.' I wanted to impress upon people how a small girl encouraged in reading and expressing herself both through words and pictures could end up on a myriad of creative paths, often by accident. At five years old, I was all set to be a nun (inspired by the Sound of Music) but realised that a) I was not Catholic and b) I would not necessarily be allowed to wear makeup, jewellery and great frocks. I had to rethink my career. 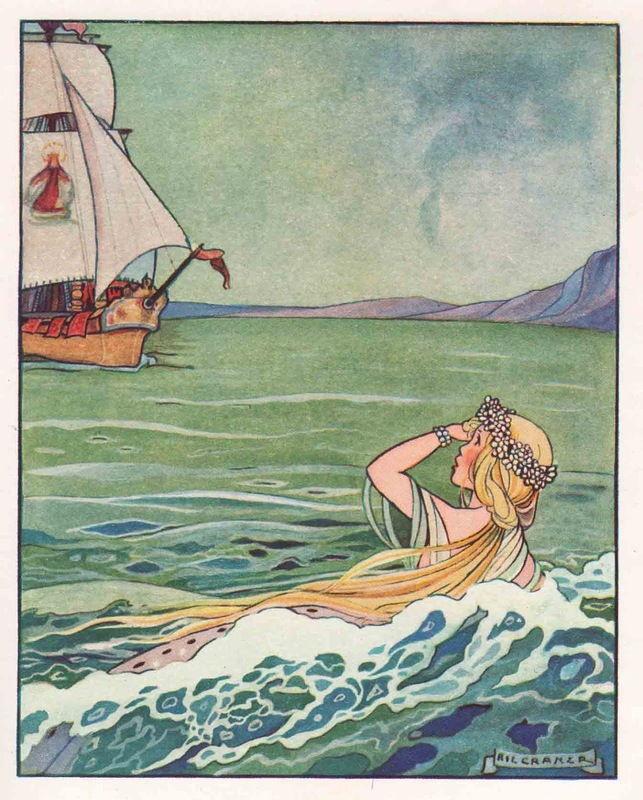 At this time I had in my possession (and still do) The Silver Thimble Storybook by RieCramer; retellings of Hans Christian Anderson tales with exquisite illustrations. I copied these drawing again and again to see how they were done- and it was the first book I can remember reading 'All by myself'. My parents also provided me and my sisters with weekly comics and annuals. I learned to read and interpret visual and written text through the English editions of Robin, Bunty and June. I drew and made things all the time as a kid; it was a place of comfort for me, and by the time I was in high school I knew I wanted to be an artist, but didn't want starve in a garret- I wanted to be rich and famous. So on leaving college I went to Wellington Polytech Design School where I majored in illustration and advertising. I was all set to go to Auckland and be a junior art director in a flash advertising agency and make lots of money but instead I fell in love and followed my heart, not my plan and moved to Christchurch. I couldn't get a job anywhere- the old case of not enough work experience for the cool jobs and too creative for the uncool jobs. So I went freelancing. I did a bunch of piddly jobs, including illustrating water wings for dogs and designing posters for friends. I knocked on doors, talked to every designer and illustrator in town, took my portfolio to ad agencies repeatedly. Luckily I was young and cute so the art directors didn't mind giving me the time of day. I was broke but looked good in op shop chic. Just when I was about to give up and get a sales job at Whitcoulls, a copywriter from What Now called and asked if I would like to art direct a club magazine. (I had been doing a few graphics for the programme). My motto is that if something is offered that is above your skill set, then someone has offered it because they see your potential. So say yes. You'll learn on the job.I art directed, illustrated and sent things off to print on that mag for 2 years until they ran out of budget. Then the producer asked if I'd like to do art and craft spots on the show (because of all the arts and crafts bits I did in the mag) and I said..yes. I'd never done work to a camera before and there was plenty to learn. That became 7 years of regular TV spots. In that time I had 2 babies, tutored design and illustration at Christchurch Polytechnic, illustrated children's books and did lots of illustration for advertising and design companies. Eventually I got fed up with TV land (yes you can) and resigned my contract. One day I wrote a poem and doodled an illustration and send it to Next Magazine with a note saying that I saw they didn't have a regular verse column and this would be a good idea. The editor took it up and this became an 8 year monthly column. At this time I also started entering the World of Wearable Art. In this time we moved to Wellington, I wrote a junior fiction novel (Verity's Truth), moved to Bristol for 2 years and moved back to Wellington where upon I did a Masters in Creative writing at the IIML. As part of my work placement requirement I did a stint at Weta working on Jane and The Dragon coming up with storyline ideas. Then I decided on my bucket list was working on making things, so politely campaigned Richard Taylor with my Wearable Art portfolio until he gave me a job in the workshop on The Lion The Witch and The Wardrobe. I sewed metres of fabric and riveted things and drank a heap of coffee. In this period of my career, I wrote and had a two more junior fiction novels published with Scholastic, Janie Olive and Glory. Film work is exhausting and I left to write another novel and illustrate more books. Then I was asked to come and talk about wearable arts on The Good Morning Show and do a craft demo. This led into 6 years of weekly spots; fantastic stuff. 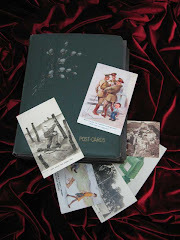 In the past few years, I've worked on The Hobbit as a costume illustrator, had garments in every WOW show (since 1995) - WOW have toured me around the countryside to give inspirational talks to designers, I've run workshops at schools and festivals, illustrated more books- the last two in particular I'm really proud of; The Red Poppy by David Hill and Far Far From Home by Elizabeth Pulford. I'm nowhere near rich, I probably never will be. But I'm a little bit famous and I will never die wondering. I have a ridiculously diverse portfolio and CV which has made me unemployable in the ordinary world. And that's o.k, because being creative isn't an ordinary thing to be.I've found being blown off course each time I set sail, one can transform from a mere deck hand into an adventurer. In literature: reading, writing, poetry, blogging. In commercial art and illustration. In costume design and props making, in film, television and radio. In teaching and handing on the knowledge you've gained to new, young explorers in the worlds ocean. In Wearable Wonders, my new book, all my past creative experience comes together. It is a safe ship. I hope to interrupt linear navigation and have young people set sail, following their hearts, not the map drawn up by others. 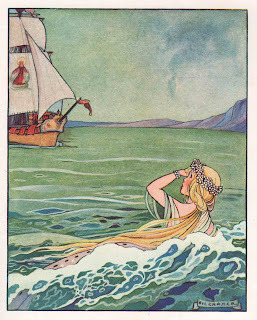 To find courage in the stormy seas and serenity in the calm waters of a creative life. I had the best day ever on Friday- launching my new book on my birthday no less! 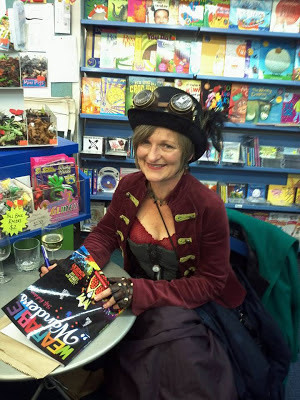 I had to dress up of course, purely to wear the goggles featured in the book. 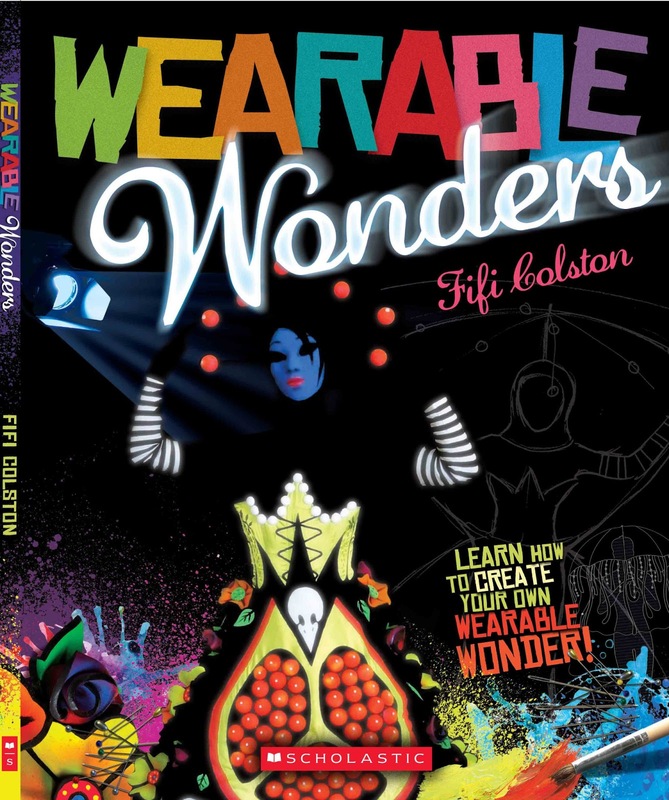 'Wearable Wonders' published by Scholastic is available from a variety of booksellers including my favorite local The Children's Bookshop. 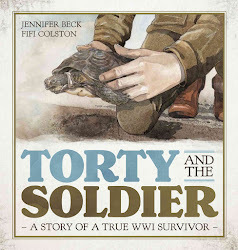 The wonderful Barbara Murison has written a nice review of it here at Around The Bookshops.